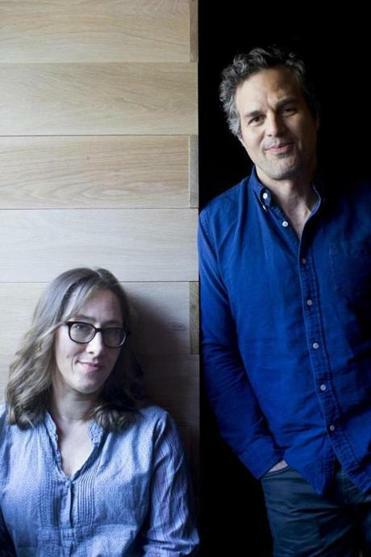 Maya Forbes’s semi-autobiographical movie stars Mark Ruffalo as a man afflicted, like her father, with bipolar disorder. The bohemian Cambridge where Maya Forbes grew up in the 1970s is so gentrified and pricey now that she couldn’t even shoot her semi-autobiographical directing debut, “Infinitely Polar Bear,” in her native city. Instead, Providence stands in for the once-gritty Cambridge onscreen. But Forbes is quick to say that her cinematic memoir is an otherwise authentic, if liberally fictionalized, re-creation of her unorthodox childhood. In real life, the filmmaker’s father, Cam Forbes, was much like Cam Stuart, the man at the center of “Infinitely Polar Bear.” As played by Mark Ruffalo, Cam is alternately charming and annoying, a Boston blue blood who battles bipolar disorder as he struggles to be the responsible parental figure his children need him to be. The film centers largely on the period when Maya’s African-American mother (Zoe Saldana) decided that, in order to better support Maya (called Amelia in the film and played by Forbes’s own daughter Imogene Wolodarsky) and her younger sister (Ashley Aufderheide), she’d move to New York to earn an MBA from Columbia Business School while Cam took care of the girls. Forbes, 46, and living in Los Angeles, wrote the screenplays for “The Rocker” (2008), “Monsters vs. Aliens” (2007), and many episodes of “The Larry Sanders Show” in the ’90s. She says she has wanted for years to tell her own story. The film begins with the family’s move from a brief interlude in Sudbury back to Cambridge when Maya was 7. At the same time, Cam has a breakdown and is hospitalized. Maya Forbes’s autobiographical comedy-drama, with Mark Ruffalo as a bipolar dad put in charge of the kids while his wife gets an MBA. “We lived on Walden Street, close to Porter Square. . . . I remember when I was 10 I wrote a school essay on ‘Cambridge as a microcosm of the world.’ It was, then, but it isn’t anymore. Now it’s a microcosm of the one percent. Rent control made it a wonderful, bohemian place,” says Forbes, whose memories of an unconventional Cambridge childhood include going alone with her sister, China (now the singer for the band Pink Martini), to see “Outrageous” in 1977 at the Orson Welles Cinema. Forbes says raising her own kids helped her better understand her parents. “When my daughters got to be 7 and 5, the ages we were when things fell apart, I just started seeing it through the eyes of the girls. My husband [producer Wally Wolodarsky] went away for six weeks to work on a movie and it was so hard [being alone with the kids]. I could not believe my father did this. I’m a relatively stable, functioning person and I had a hard time. So I have huge sympathy and admiration that [my father] managed to do it. . . . I came to see that I was really loved and I felt grateful to my mother for making sure we got a good education,” says Forbes, who attended public schools in Cambridge before heading to Phillips Exeter Academy and then Harvard University. 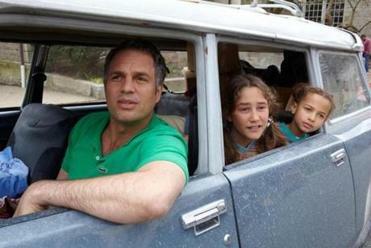 Cam Forbes died of cancer in 1998 at 59, but Ruffalo used home movies and photos to re-create the character. “I had for years the Super 8 film he shot of himself in a full-blown manic episode. It had such exuberance. When I saw it, I knew that’s where we were going. 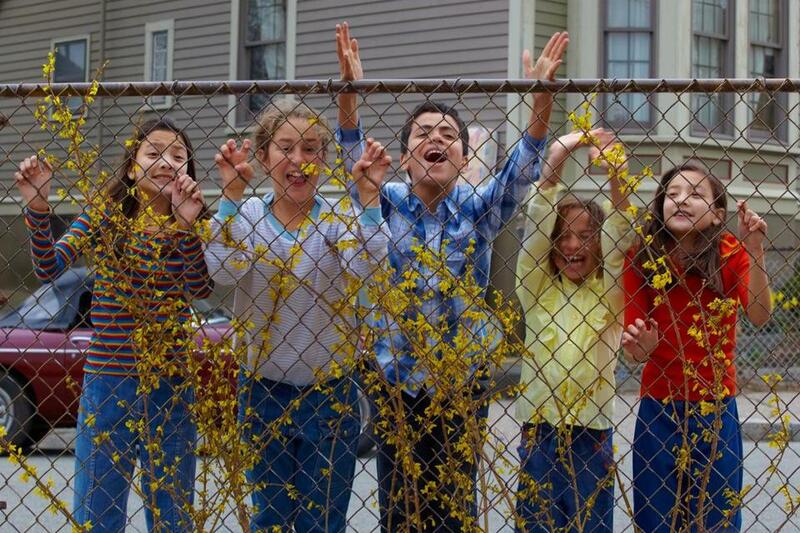 And Maya is a wonderful storyteller; she regaled me all during the shoot,” Ruffalo says. “Her script was so balanced; she has an unflinching point of view about her father, and who she was as a girl. So I never worried that she was being precious about him. We were both on the same page about telling the truth about this guy. “I like playing real people. I want to get as further away from myself as possible,” says Ruffalo, who’ll play another real-life Bostonian, Globe reporter Mike Rezendes, in “Spotlight,” due in November. For Forbes, the goal was to be specific and to humanize her father. “I wanted to be truthful and show a whole person. In movies, often crazy people are quirky. I didn’t want cute. I wanted him to feel like a real person who was up and down but still himself. . . . I wanted it to feel like a collective memory. [China] has a son, and I have three kids, so the film will give them a sense of who he was and what he meant to us,” she says.